Sparrow’s hope is she can stay in her home long enough for her mother to appear as a spirit and finally tell her the name of her father. While scheming with Maeve, Johnny, and Elena to track down her elusive parent, Sparrow also tries to solve the Boy’s mystery. Why is he only in her house or pacing along the shore of the nearby marshland? How did he end up a ghost? When Sparrow and her friends discover the Boy’s gravestone, all they are left with are more questions. It’s Elena’s father, a history professor, who provides research and detective suggestions. But does Sparrow really want to know the truth? She slowly realises she can only find answers to her questions if she solves the Boy’s mystery. Ghosts, mysteries, and family drama are always pushing and pulling at Sparrow to make life decisions that she doesn’t want to make. This middle grade novel is a debut book from new talent-on-the-block Victoria Piontek. I read an advanced copy and would recommend it, though it is more suited for a younger reading audience than I usually review, 8- to 12-year-olds. It’s a funny, poignant, and adventure-filled story populated with both endearing characters and despicable children and adult villains, an entertaining combination for any reader. Piontek grew up in the southern United States, which is why she is able to write so visually and personally about the surroundings of Cattail County. She is a Literary Associate for agent Laura Rennet, has been a teacher, and holds an MFA in Creative Writing for Children and Young Adults from Hollins University. 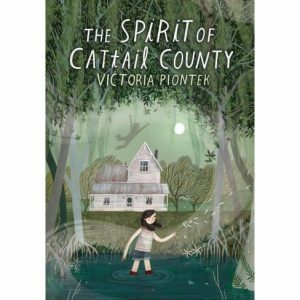 You can check out the goodreads’ reader reviews at https://www.goodreads.com/book/show/36071531-the-spirit-of-cattail-county.